You have a promising business idea and want to establish yourself in Germany? You can finance your project with your own resources or loans? Fortunately, the German legislature has come to realize foreign entrepreneurs and investors often establish themselves in Germany with great success and therefore contribute a significant proportion to the economic success of Germany, even when they do not always directly invest on a large scale, or immediately create new jobs. Since § 21 of the Residence Code entered into force on the 01.08.2012, a residence permit for self-employment can already be issued if a (simple) economic interest or a (simple) regional need exists. The law does not regulate a minimum amount of investment, nor require a minimum number of jobs be created. 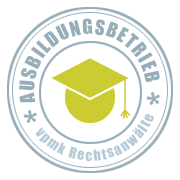 In addition, this law has made it easier for graduates from German universities to become self-employed after graduation. In lieu of this new law, foreign investors and entrepreneurs have a much better chance at realizing innovative ideas in Germany. Pursuant to § 21 section 1 of the Residence Code, individual entrepreneurs and active partners in a partnership are eligible to receive a residence permit to pursue self-employed work. Even statutory representatives of legal persons (for example Ltd, Stock Company) can obtain permits of residence as self-employed if they bear their own entrepreneurial risk in connection with their work, in accordance with § 21 of the Residence. and the funding of the implementation is secured by equity or by a loan approval. Compliance with the above mentioned conditions is reviewed by the immigration authorities, as well as specialized agencies, such as the Ministry of Economics or the Senate Department for Economics and Chambers of Commerce. This review requires the submission of a complete company profile, i.e. a structured and detailed description of a business idea (business plan). Three years after the issuance of such a residence, in accordance with § 21 section 1 of the Residence Code, the viability of your company will be reassessed and in lieu of a positive outcome of this assessment a permanent residence permit will be issued. We will gladly assist you in the implementation of your endeavor! Ask us if you require legal assistance. We have already helped a large number of foreign entrepreneurs and investors realize their projects in Germany. We will support and advise you throughout the process of establishing your corporation till you reach your goal: the issuance of a permanent residence permit for the purpose of self-employment. Of course we will also support you in (additionally) bringing your family to Germany. vpmk lawyers offer you the advantage of a law firm that almost exclusively represents foreign clients, clients and international companies in different legal areas. Thus, we are also able to answer specific questions by our international clients regarding company law, social law, labor law, family law and real estate law. Our experts and specialist attorneys always work closely together. This way, you or your company receive the most legal counseling, which goes far beyond the mere labor migration. When we work for you, good service is our priority. You always have a legal contact person with us, who will provide you with individual care and will usually answer your questions on the same day. Legal consultations are provided in English or German. Advocacy consultations can also be carried out in French and Spanish. In addition, our office has Russian, Italian and Mandarin-speaking staff who are fluent in translation. Please do not hesitate to contact us per email for further information or with a specific project.